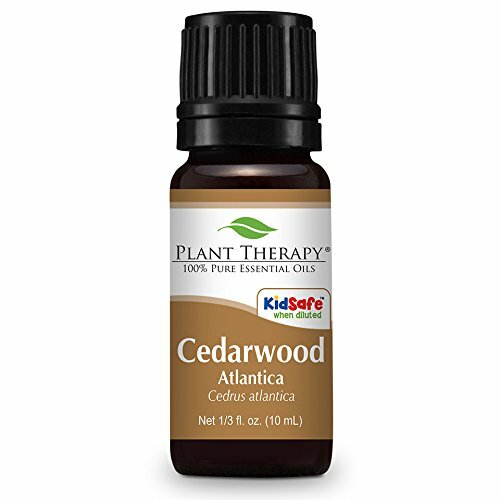 Learn more about Atlas Cedarwood Essential Oil or find a great deal on the best selling Atlas Cedarwood Oil from the items below! 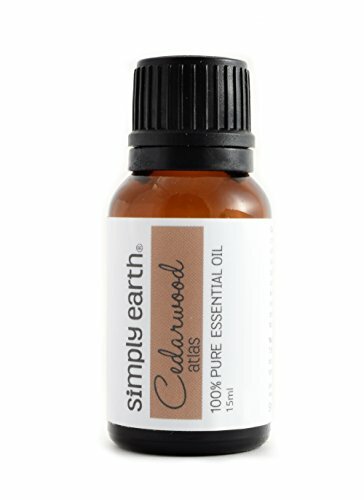 Organic Cedarwood Atlas Essential Oil. 10 ml (1/3 oz). 100% Pure, Undiluted, Therapeutic Grade. Certified Organics: * Botanical Name: Cedrus atlantica * Plant Part: Wood * Extraction Method: Steam Distilled * Origin: Morocco * Description: Cedarwood is a pyramid-shaped majestic evergreen tree, which grows up to 131 ft. high. The wood itself is hard and strongly aromatic because of the high percentage of essential oil it contains, and the essential oil is obtained by steam distillation. * Color: Golden yellow to orange-brown liquid. * Common Uses: Warming, uplifting, and toning, Organic Cedarwood Oil is a calming and soothing oil that is beneficial for all states of tension and anxiety, instilling feelings of peace. This oil is beneficial for oily skin, acne, cellulite, chronic skin conditions and respiratory problems. It is considered an aphrodisiac in that it is grounding and inspiring at the same time. * Consistency: Thin * Note: Middle * Strength of Aroma: Strong * Blends well with: Rosewood, Bergamot, Cypress, Cassia, Jasmine, Juniper, Neroli, Labdanum, Frankincense, Clary Sage, Vetiver, Rosemary, Ylang-ylang. 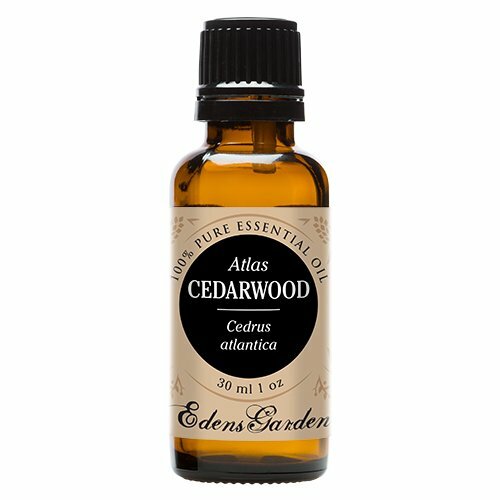 * Aromatic Scent: Cedarwood Atlas Oil has a woody, sweet, sharper note than Virginian Cedarwood, slight aroma reminiscent of artificial mothballs, balsamic. * History: This Cedarwood originated in the Atlas Mountains in North Africa. In former times, linen chests were frequently crafted from this wood to keep moths out. To date, clothes hangers are frequently crafted from this wood. The ancient Egyptians already used this oil, namely to embalm, for cosmetics and perfumery. * Cautions: Non-toxic, non-irritant. Avoid during pregnancy. 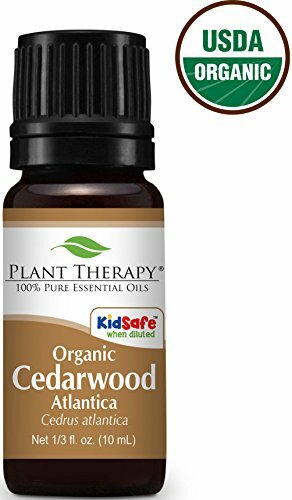 Cedarwood (Virginia) Essential Oil. 5 ml. 100% Pure, Undiluted, Therapeutic Grade. Botanical Name: Juniperus virginiana * Plant Part: Wood * Extraction Method: Steam Distilled * Origin: USA * Description: A middle note of strong aroma, this oil has a scent is sweet and woody, and sometimes reminiscent of sandalwood. It is softer than that of Cedarwood Atlas, but stronger than that of Cedarwood Texas. Blends With: Rosewood, Bergamot, Cypress, Cassia, Jasmine, Juniper, Neroli, Labdanum, Frankincense, Clary Sage, Vetiver, Rosemary, Ylang-ylang. 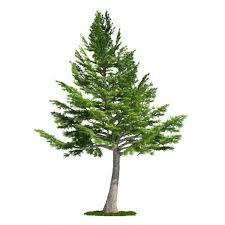 Product Abstract: The Virginia Cedarwood is a slow-growing, coniferous evergreen, reaching heights of 33 metres. It has a reddish heartwood and bears brown cones. Also known as Red Cedar, it is from the family Cupressacea. Originally used by native North Americans, Cedar is an important ornamental and timber tree of eastern North America whose fragrant wood is made into cabinets, fence posts, and pencils. 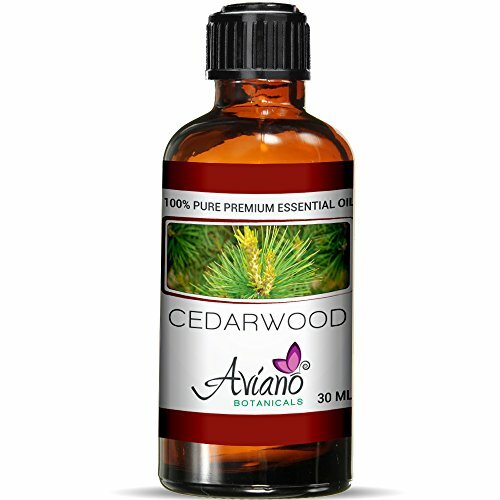 Aviano Botanicals' 100% PURE & ALL NATURAL BLUE DIAMOND THERAPEUTIC GRADE Cedarwood Essential Oil is strong enough to work wonders with only a couple drops, while other brands may need 3x as many drops to reap any benefits. This will insure that our concentrated cedarwood essential oil will last much longer than most larger 2 and 4 oz bottles on the market. Comes with our UNIQUE EURO DROPPER allows you to precisely measure drop by drop and avoid accidentally spilling a few extra drops. BEST SCENTED CEDARWOOD ESSENTIAL OIL: Our undiluted cedarwood oil is 100% PURE hence can be used for aromatherapy in luxurious spas or even at home using a diffuser for a feeling of pure serenity and bliss due to its naturally strong fragrance. No diffuser? Just mix this oil with water in a spray bottle to sense the aromatic scent and feel of organic tranquility. This oil mixes well with lavender and sandalwood essential oils. 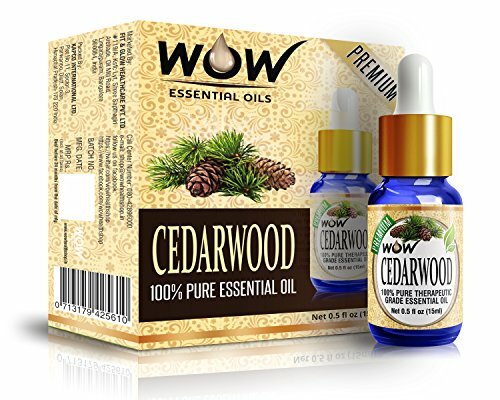 Since cedarwood essential oil is a liquid, you can USE IT FOR MAKING MANY HOMEMADE ITEMS such as perfumes, candles, body wash, bath rock salt, shampoos, hair conditioners, lotions, incense sticks, soaps, air fresheners, and more! Or simply add a couple drops to these(or other) existing items you have laying around to power-pack them with the power and luxurious scent of Aviano Botanicals' Premium Cedarwood Essential Oil. Our SUPER POWERFUL, EXTRA VIRGIN ESSENTIAL OILS uses crops which are always HARVESTED/PICKED AT THE PERFECT TIME to capture and bottle its pure unadulterated essence. Add to Cart Now - We Offer a 100% Money Back Guarantee on All of our Products! 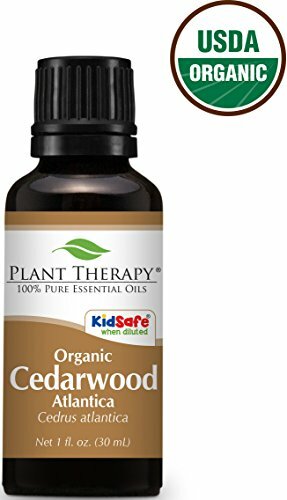 Cedarwood Atlas Essential Oil 30 ml (1 oz) 100% Pure, Undiluted. Aroma: Warm, woodsy, balsamic. Benefits: Stress relief, strengthening, empowering. Aromatherapy Properties: (Uses) Its properties are an arterial regenerative and a lymphotonic. It aids in the removal of body fat and is used externally for cellulite and the retention of fluid in the tissue. Atlas Cedar as its also known is also used for the respiratory system a drop in a half cup of water to gargle for sore throat or with a few drops of Eucalyptus in a steaming bowl of water to reduce nasal and lung congestion. Its main benefits are on the respiratory system due to its expectorant properties easing conditions such as bronchitis coughs and colds. The oil may be beneficial in the treatment of kidney and bladder disorders. Its antiseptic properties make it an ideal remedy for bladder and kidney infections and for cystitis. The oil may be added to a sitz bath and to compresses. It can be added to shampoos or facial washes to reduce oily secretions. The oil helps to clear chronic conditions such as dermatitis and psoriasis. It would make a good hair tonic and effective for treating seborrhoea of the scalp hair loss dandruff and alopecia. It is also used as a fixative in the perfume industry. 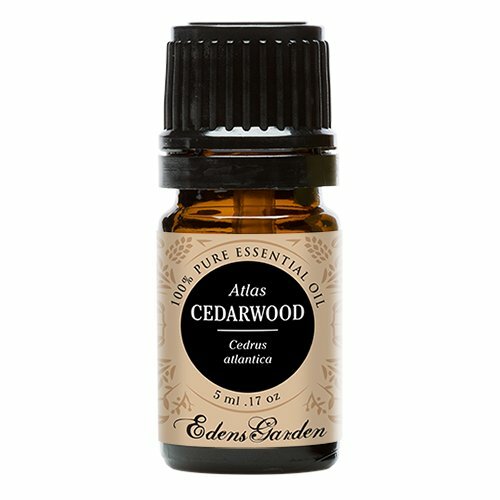 Cedarwood Atlas is calming and soothing with effects similar to Sandalwood. This oil is considered neurotoxic and abortive and should not be used on children and pregnant women. Blends well with: Bergamot Clary Sage Frankincense Oakmoss Absolute and Rosemary. 100% Pure Essential Oil Capacity - 5 ml. 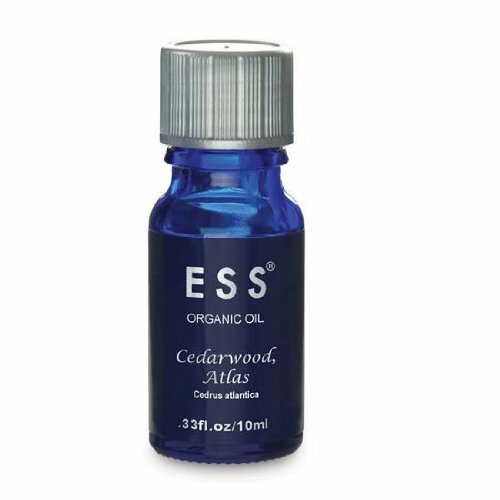 Silky Scents EO99-10ML Cedarwood Atlas Essential Oil 100 Percent Pure Therapeutic Grade - 10 ml. Aromatherapy Properties: (Uses) Its properties are an arterial regenerative and a lymphotonic. It aids in the removal of body fat and is used externally for cellulite and the retention of fluid in the tissue. Atlas Cedar as its also known is also used for the respiratory system a drop in a half cup of water to gargle for sore throat or with a few drops of Eucalyptus in a steaming bowl of water to reduce nasal and lung congestion. Its main benefits are on the respiratory system due to its expectorant properties easing conditions such as bronchitis coughs and colds. The oil may be beneficial in the treatment of kidney and bladder disorders. Its antiseptic properties make it an ideal remedy for bladder and kidney infections and for cystitis. The oil may be added to a sitz bath and to compresses. It can be added to shampoos or facial washes to reduce oily secretions. The oil helps to clear chronic conditions such as dermatitis and psoriasis. It would make a good hair tonic and effective for treating seborrhoea of the scalp hair loss dandruff and alopecia. It is also used as a fixative in the perfume industry. 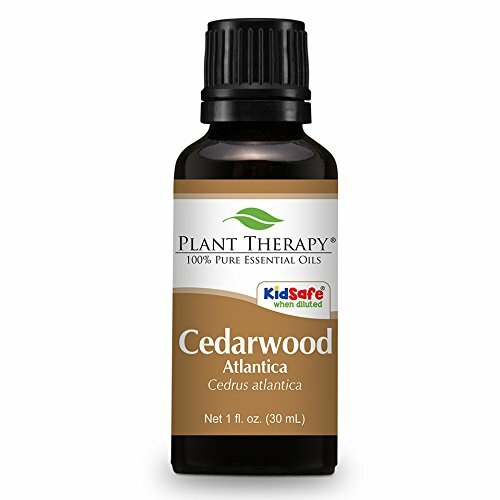 Cedarwood Atlas is calming and soothing with effects similar to Sandalwood. This oil is considered neurotoxic and abortive and should not be used on children and pregnant women. Blends well with: Bergamot Clary Sage Frankincense Oakmoss Absolute and Rosemary. 100% Pure Essential Oil Capacity - 10 ml.